Day 2 Arrive in London. We’ll visit Stonehenge this am. We’ll have an afternoon check-in at our hotel and early dinner. Day 3 Westminster Abbey, Trafalgar Square, Piccadilly Circus, Tower Bridge, Big Ben, and other local sights. Day 10 Tour Lake Geneva, Vevey, Montreaux, Leysen. Note: Itinerary and/or may changes prior to or during tour. Frontier Travel Camp will now be offering an annual summer tour for travelers 16 – 23 years old ONLY. No traveler older than 25 will be allowed to travel on this tour. Since all of our other tours are 16 + years old, any traveler on this tour will be able to join all of our other trips throughout the year. 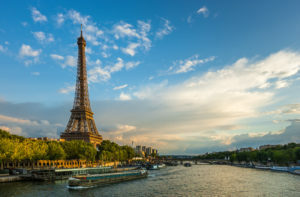 We’ve planned a wonderful trip through western Europe where we’ll hit many of the true highlights. 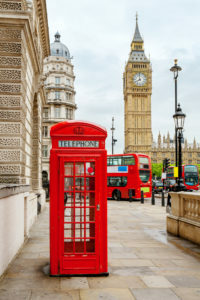 On Friday, June 21st, 2019, we’ll fly from JFK to London’s Heathrow Airport. Upon arriving we’ll be picked up and taken directly see one of the ancient wonders of the world, Stonehenge. We’ll spend the early part of our day walking among the stones and marveling at the history of this structure. We’ll make a few other stops along the way before heading back to our hotel early to rest up and prepare for our fast-paced two weeks to come. Our time in London will be jam-packed so that we can see all of the major sights (i.e. 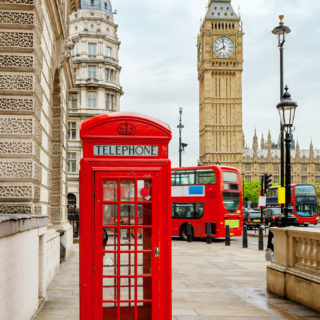 Tower Bridge, Parliament, Westminster Abbey, Trafalgar Square, Piccadilly Circus, Tate Modern Museum, Harrod’s Food Hall, Buckingham Palace, London Eye, and more. There won’t be any rest for the weary as we have so much to see and so little time. Finally, we’ll get to Switzerland. This a spectacular way to finish our two week trip. We’ll see Geneva, Vevey, Montreaux, some great mountain towns like Leysen and Chamonix. We’ll move further into the country for a few more nights where we’ll walk along the spectacular lake of Interlaken, The heights of Grindelwald, and walk the cobblestone streets of Bern, Lucern, and Zurich. Along the way we’ll shop, hike, and just hang out with our new friends in these glorious European cities. This is a great way to introduce yourself to Frontier Travel Camp and to the great continent of Europe. We always go above and beyond to make sure that we see all that we can while facilitating socialization and independence. What better way is there to make friends, see the world, and live life? We specialize in supervised trips for high functioning individuals who want to get out of their normal routine to Make Friends, See the World, Live Life. 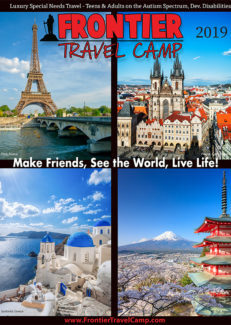 Frontier Travel Camp has been guiding trips for over 20 years and has traveled all over the USA, Canada, the Caribbean, Europe, and Australia. Our mission is to further the growth and development both with socialization and independence while providing a safe and nurturing travel experience. Our Summer Tours are All-Inclusive with airfare from NY/NJ (unless otherwise stated), staff with a 5:1 ratio, 3 meals per day, ground transportation, and all activities costs as stated on the itinerary. All tours must have a minimum of 20 people. Travel Insurance is recommended. Acceptance into the program is required. The first step is to complete the Camper Application (linked below). Please call Frontier Travel Camp at 866-750-CAMP (2267) with any questions.